في التغميسات نجلس بالعادة على الأرض، وهذه كانت من المرات القلائل التي نجلس فيها على كراسي. بالقعدة على الأرض، نشعر بالبساطة وعدم التكلف وشعور أكثر بالأمان بمشاركة تجاربنا، قربنا إلى الأرض يجعلنا أقرب إلى بعض. بإنغماسنا بمقولة جبران فكّرنا أكثر بأهمية الكلمات في حياتنا وماذا تعني وكيف نعبر عنها، مدى الوضوح في الكلمات التي نستخدمها، صدقها ومدى ارتباطها الفعلي بما نشعر به، فما أهمية أو فائدة المنطوق اذا لم يفهم؟ فلا بد أن يكون هناك جهد واجتهاد بتشكيل معنى لما ننطق، ونآمن بقدرة الآخرين على التعلم كما نآمن بقدرتنا على التعلم. فمن التجارب نغذي أنفسنا ولعلنا نصبح أكثر فصاحة باستخدامنا للكلمات. ولكن ماذا لو كانت فصاحتنا بالأفعال وليست فقط بالكلمات، فهنا يكون النطق بشكل مختلف يجعلنا نرى ونشعر بالمحبة من دون كلمات، فلكل منا لغته إذا أحسن التعرف عليها وأحسن استخدامها وأحسن الآخرين رؤيتها. قد نكون قد فقدنا معنى البساطة في حياتنا، البساطة في التعامل مع من نحب وكيف نعبر عن أنفسنا، البساطة في استخدام كلمات مرتبطة بدواخلنا لنا دور في تشكيل معناها ونعمل على تغذية مخزوننا منها، البساطة في رؤية معنى الحب، والبساطة في رؤية الناس من دون أحكام مسبقة وترجمة أفعالهم بناءً على مرجعيتنا ناكرين قصتهم وتجربتهم. شكراً لكل من حضر وكان معنا بهذه التغميسة وشاركنا تجاربه وقصصه، وكل الشكر للأصدقاء في مؤسسة محمد وماهرة أبو غزالة على المساعدة بالتنسيق لهذه التغميسة. 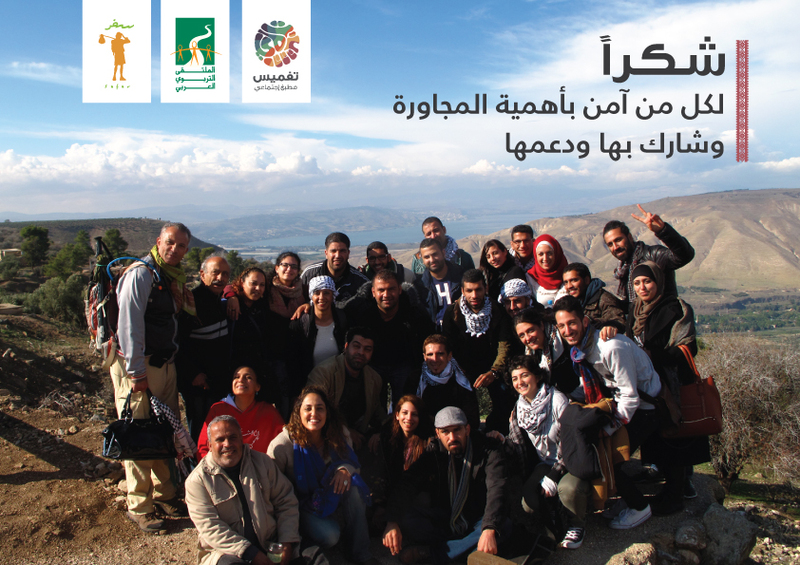 Earlier this year in January 2015, Taghmees had the great pleasure of welcoming a diverse group of students from the SIT Graduate Institute (School for International Training) to spend a morning with ahel taghmees in Darna. 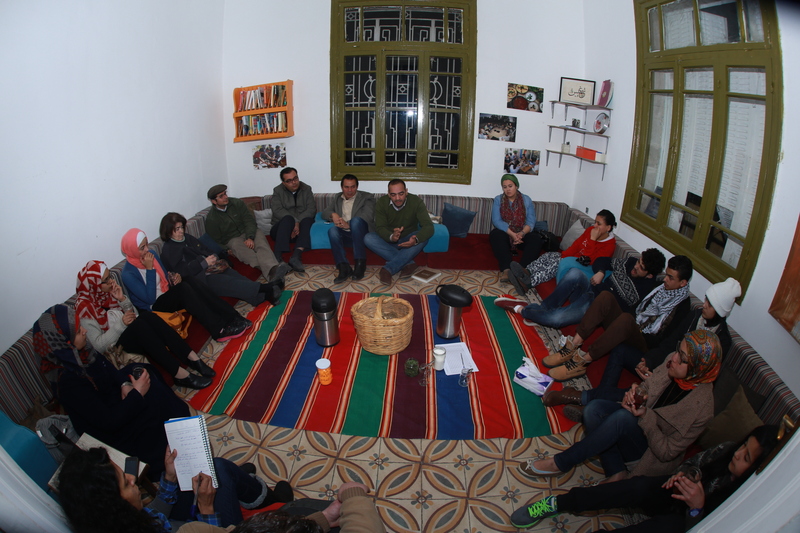 Our learning was mutual and abundant, as we got to hear about their experiences, listen to their reflections, and share our own story with Taghmees, while allowing the space for them to experience (and taste) it first hand. In the spirit of taghmees, we were each welcome to take whatever we needed from the moment and each other’s stories, weaving in the parts that were missing from our own. Last week, we received a message from Scott, a member of the group, who was kind enough to share how some of his story has unfolded since our time together. “I don’t know if you remember me specifically, but I was one of Aqeel’s students that you meet back in January. I wanted to take a minute to let you know what kind of inspiration you and Taghmees have been for me since then. 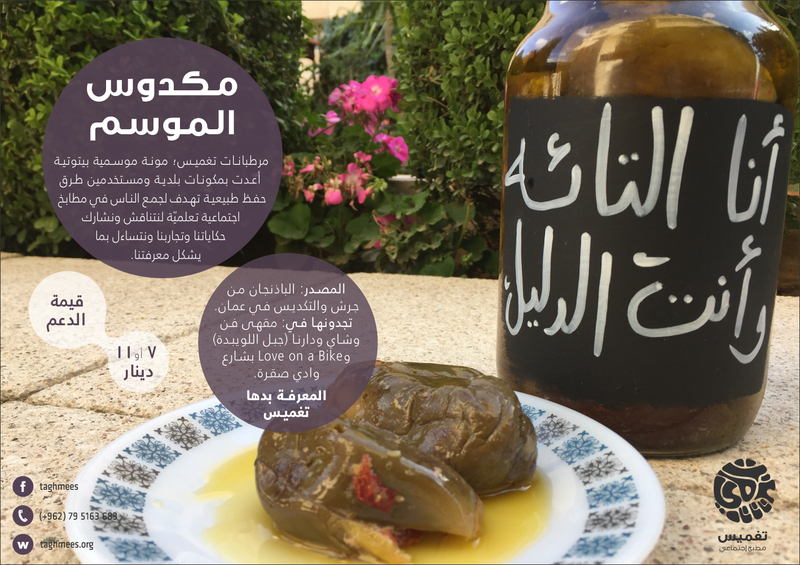 What I really took from experiencing Taghmees, was the importance of using food, and specifically the sharing of food, as an environment for creating open dialogue, particularly about social issues. So I used this in two ways. The first is that I took an afternoon and went back to the high school that I used to teach at before coming to SIT. I set up an after school discussion circle, one time with a group of about six students, and I brought fresh baked bread, hummus, vegetables, tea, etc. and we sat and discussed the topic “What is the point of school?” I used it to both practice my questioning and facilitating skills, as well as to get them thinking critically about what they were doing in school and what they were getting out of it. It turned out to be an amazing experience for everyone. The second thing that happened, was that a colleague and I started, what we called Gender Brunches, at SIT on Sunday mornings. We used brunch as a means to get people together and discuss gender issues, both on campus as well as relating to the world at large. 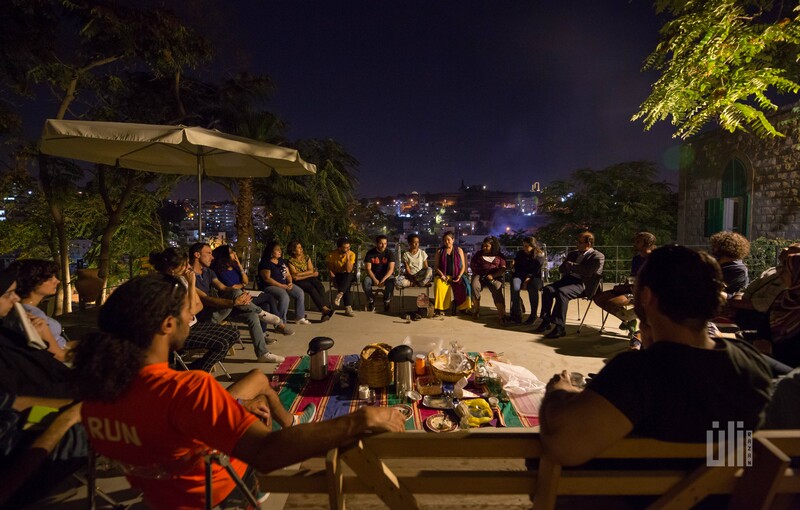 We used the first 20 minutes or so to mingle and prepare food and eat, and then we separated by gender, continued eating, and had facilitated discussions that went over a range of gender based issues. The goal of everything was to get people talking more about all of these things and to improve communication among the genders. Again this turned out to be very successful. We ended up averaging over 20 participants each time, and people commented that they really enjoyed having that safe space to talk and share. It is something that I will be pushing to have next year’s students continue. So, on Aqeel’s urging, I wanted to share all of that with you, to let you know, that even though it was a very brief introduction to you, to Taghmees, and all that you are trying to accomplish, it had a big effect on me and will continue to shape how I approach social change in the future. Thank you so much! Thank you for sharing, Scott, and thank you, Aqeel, for the encouragement.